A brave and thought-provoking picture book about war and peace from the hottest new talent around. 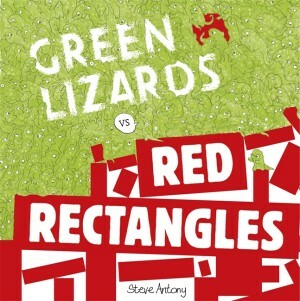 The green lizards and the red rectangles are at war. They fight and fight and fight – can there ever be a way to live peacefully together? A thought-provoking and visually stunning picture book about the futility of war, created by Steve Antony, winner of the Oscar’s First Book Prize, nominated for the Kate Greenaway Medal and shortlisted for the Waterstone’s Children’s Book Prize. Both deceptively simple and extraordinarily complex in just one hundred words, Steve Antony captures the futility (and pointlessness) of war with two colours. Why would lizards and rectangles fight? What sort of nonsense is this? Originally inspired by a painting, Green Lizards vs Red Rectangles explores conflict with stark imagery that inspires thought and contemplation. Although this can be read to toddlers and taken at page value as a silly tale with a happy ending, we think this book is essential for children of any age – especially 7-11 year olds as they develop their thinking skills and question the world they see around them and in news reports. 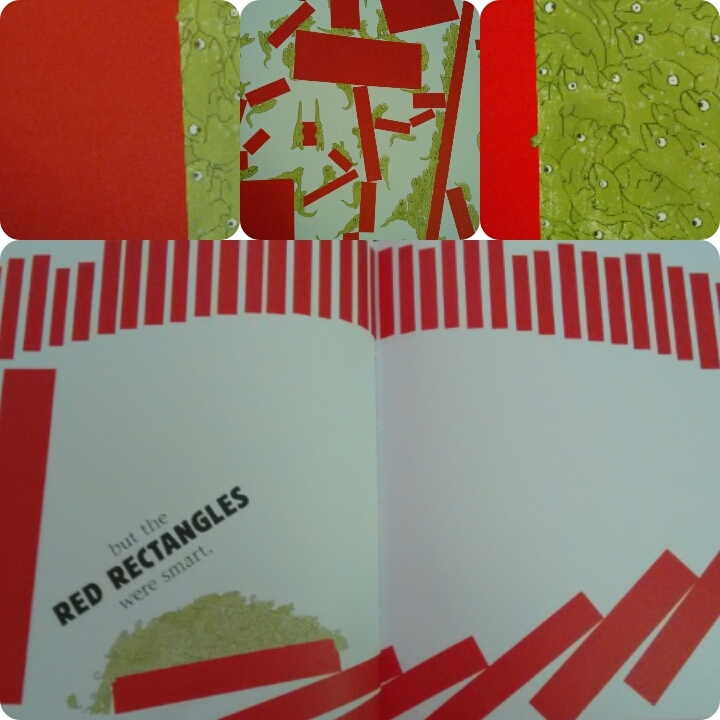 Green Lizards vs Red Rectangles can inspire art (what can you do with two colours; what shape and animal would you use; how can you put your opposing ‘creatures’ together? ), philosophy (how will our opposing armies co-exist; what do we have in common when we can only see difference; what does difference mean? ), and more. 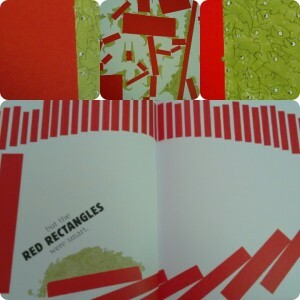 Green Lizards vs Red Rectangles is a book that we will never let go of, it deserves its permanent space in the castle library and we hope it will continue to be read over and over.